My last memory of Station Pier was years ago and of it being average food with a nice view. Among the seafood kitchens, it is possible to get a vegetarian meal. Arriving late, Nautical was open and serving to several tables. We were given a spot by the window overlooking the water. They had ran out of canneloni. 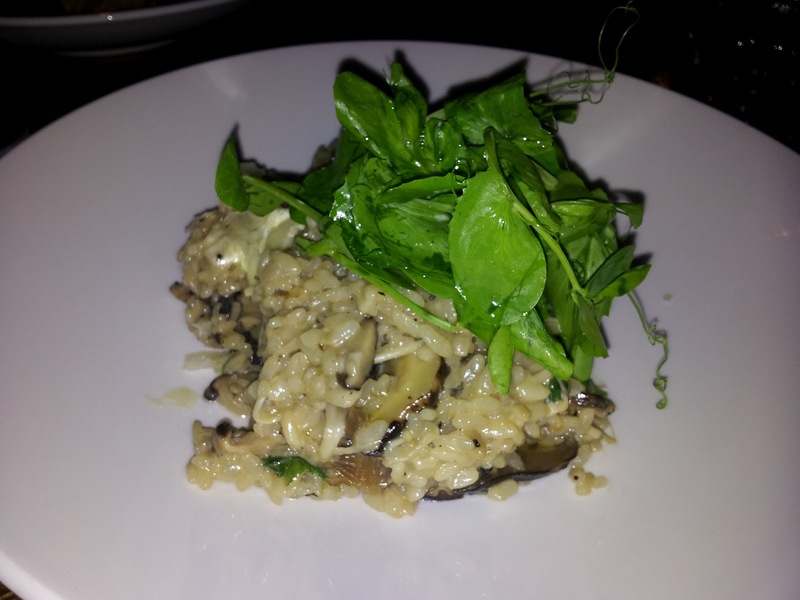 The only other vegetarian dish on the menu was a mushroom risotto. Not wanting the heaviness of rice, I asked if they had anything else on offer. The chef suggested a past with roasted veggies. The pasta was tastier than expected. Rather than roasted veggies it contained tomatoes, beans, capsicum and carrot. Writing that now, it seems like a very odd combination for a pasta dish, but it was tasty in a tomatoey sauce with parmegiano. My friend had the risotto. It was filled with a variety of mushrooms that were too squishy to have been fresh. The dinner was very enjoyable, but it was more for the company than the meal. 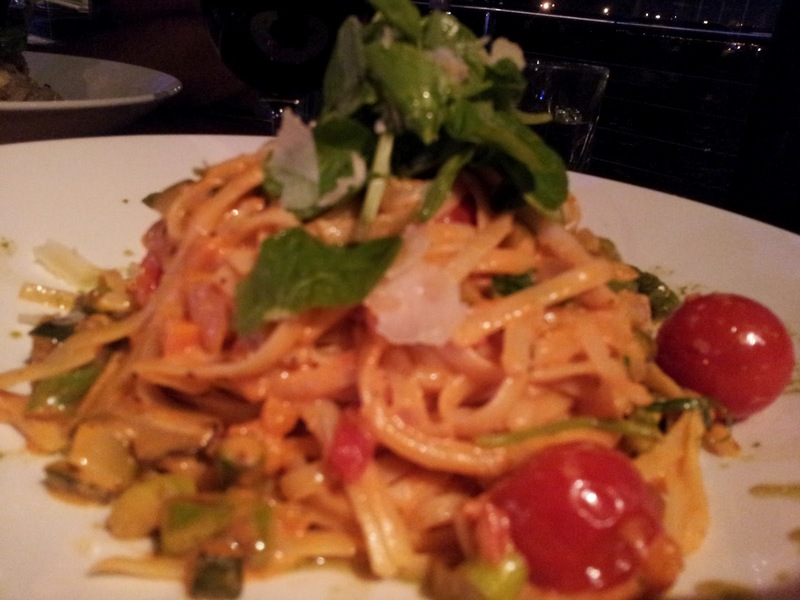 Whilst the food was decent, it was expensive and the service was non-existant. The wine list is limited and un-inspiring. But of course the view is still there, and as per my last visit, I found that it is still the aspect that brings people to this romatic spot.